Scenes from episode 216 – I Helu Pu (The Reckoning), which apparently is a Valentine’s episode. I wrote this on another blog of Tiffany’s (the one with photos of Alex running), so I apologize in advance for the redundancy. But I revise my opinion–Alex does look terrible based on his appearance on this episode. He looks, I hate to say it, almost like a Holocaust survivor, and I’m not joking. I hope he is healthy (which is most important obviously), but he really does need to either eat a bit more (or just eat more fat) or exercise a bit less or both. He needs to just relax and take it easy for a while. Go sit on a beach and read a book, will ya, instead of surfing or running. Unless, of course, he is prepping for a movie during hiatus that calls for that look. I just hope a doctor is overseeing him as I know all of his would hate it if Alex were to become seriously ill. Somebody take care of this guy! Itâ€™s no big surprise that since Lori didnâ€™t die in a hail of bullets, the possibility of her return to the show in some capacity is possible. Seeing Lauren back on to help the team would be great! 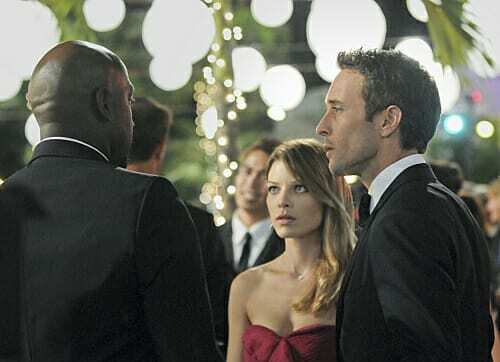 AllysonKoerner: This isnâ€™t the last weâ€™ve seen of Lauren German aka Lori Weston on Hawaii Five-0, is it? Please tell me no. We took your Q right to executive producer Peter Lenkov today, who answered right back: â€œWe never say never again on Five-0. Sheâ€™s still alive, right?â€ So you know what that means, right? Keeeeepwatching! Ok. if they are going to bring her back, she should not be regular cast but like a guest or recurring not regular and then they have to make her a female character with strong personality , better storyline. How about we have a strong, capable female character who isnâ€™t throwing herself at the hero every week? that way she can be more likeable to the audience also they could have made the character Lori great if theyâ€™d acted on the initial threat from the Governor about crossing the line. If sheâ€™d reported back to him about their activities to begin with then found herself conflicted I think a lot more fans would have bought it and took to her more. Rather than seeing another female regular, I’d like to see Daniel and Grace and even Alex given more screen time. Alex seems to spend most of his time running, driving, jumping, shooting, etc. I’d love to hear him say more (and be able to hear and understand him). On another note, I guess since Alex has joined Mudders he is physically okay, but the man is beginning to take on Lauren’s too-thin appearance. There is nothing healthy looking or flattering about his current look. If the camera adds 10 to 15 pounds, what does he look like in person? Maybe it’s over training, or love, or stress, or all those things. Thought it was just me….thinking Alex is too thin. I think that he is taking his exercise and eating regiment too far. He should slow down and gain a few pounds. This is hurting his looks. I have been reading the comments and agree with most of you that the storyline should include the bromance and cararguments. As to the comment by Peter L that the fans do not dictate storyline or characters…this is me is “cutting off your nose to spite your face.” Remember no fans, no show. A smart person would read what was said, digest it and make a decision. Also, you are right, CBS does not promote the show enought. HOW COULD I HAVE FORGOTTEN!!! HAPPY VALENTINE’S DAY TO THE MOST WONDERFUL PERSON IN THE WORLD…. :heart: :heart: our beatiful, talented, etc etc..you guys all know the drill. Lord, what a Valentine he would be…one can only dream. Holy moly……..I’ve been reading comments about Alex’s weight, and didn’t give it much thought until tonight. He looked really gaunt! Not lean and mean – which I like – but skeletal. And I don’t know if it was the music being too loud, but I couldn’t hear his dialogue. Just sitting here shaking my head. Hi Jeanne Totally agree with you. Alex is skeletal. There must be something going on with him, He does not look healthy and for those who said that is a healthy look, for me it aint a healthy look, that is a ill look. His cheekbones are so sunken. I dont know whta is going on in his life now, personally speaking that his weight had drmatically decreased, love, overworking, or over exercising but he has to be back on track with his health at least gain some more muscle not a lot but at least a little. Peter pliz give Alex something to eat!!!!! Regarding the music being too loud that you could not hear his dialogue, I thought i was the first one who had noticed that too, I guess im not the only one now, not from yesterday episode but in some previous episodes, for some reason Alex has not been articulating well his dialogues, he speaks too fast and he does not open his mouth well to articulate his lines and sometimes I hardlyunderstand what he said to keep up I dont know if it is due to his Aussie accent or what it is. Yesterdays ending was something I did not expect, the Lori thing, totally the opposite of what I thought. well, tonights the night in a short while we will all see what is going to happen. I don’t think Lori will be a love interest since the scenes seem to show him and catherine all dressed up and together for Valentine’s Day. I can take Lori character or leave it now. I like the fact they took her somewhat out of the spotlight but still part of the team. I guess Kono just fit the group better. Tiffany – thank you so much for the great photos! So happy to see Catherine back – I do like her and Steve together. She’s beautiful, intelligent, feisty – everything Lori isn’t! Alex needs a little lovin’ in his life and Catherine is definitely the one who can give it to him. ALEX IS SUCH A HUNK!!! Karen hello. Have u read the CBS press release for episode 2.17 yet? I just read it and I found out by readin ghte press release that the actress Lauren German is no longer on the list of the recurring cast on that particular episode. Hi Emma – I didn’t read the CBS press release. Glad to hear she is not returning. I’m sure she will find another show with a better “fit”. I just never saw her and Steve as a couple and didn’t feel like she added much to the show. Thanks for the update Emma :0). Hi Karen Well I want to add u antoehr thing about LG possible departure. I guess now that she is not leaving after all, the anti lori fans (myself included) got our hopes too high. I mean like Muffie said here. Peter neither has confirmed nor denied her departure and there has not been any official statement that she is leaving, so my guess is that she wont. Maybe she is not listed on 2.17 as the regular cast, but that does not mean she wont come back on 2.18 or the following episodes. I mean since she is the one responsible for tonites episode and she is the one paying with her job my guess she will be fired indeed but just temporarily but not permanently and maybe she will comeback close to the end of this season, but is not official the actress is leaving the show. So my guess is LG is still on the show as she is a regular cast and nothing is official. I think society is used to seeing people overweight, so hence all of the comments about Alex needing to eat. He’s probably in the best shape ever. Looks like 0% fat, 100% muscle. As I’ve said before, everything I’ve read about Alex leads me to believe that he does everything overboard–probably a result of his OCD. He’ll most likely ease up eventually. In the meantime, we should be glad that he’s healthy, happy and working. Monday’s episode was one of the better ones this season. Let’s hope this trends continues. Can’t wait for the Catherine/Steve reunion. During the ” mountain” scene, as Steve was carrying GOOD- FOR -NOTHING LORI down the mountain, bc the dainty thing hurt herself… we were YELLING “DROP HER!… DROP HER!”… the character is USELESS….. hope she’s the one that gets the boot next week!…. should have happened LONG AGO!….. Does ANYONE have any idea what purpose the scene on the mountain was written for?? I haven’t a clue how it added to the story. About next week episode according to the promo it seems she is the one paying for her job for causing a international incident, beacuse she said something about it was her fault. and we see her cleaning her bloody hands like trying to hide the evidence of something. We of course dont know what happened. It could be that she may be protecting someone and she is taking the blame or she really is responsible and the Governor tells her she is fired but since I havent heard anything on the internet like rumors or gossip that Lauren German may be leaving the show, I believe she wll remain in the show but with other duties if she will be the one paying for her job it could be that she be downgraded to a lesser police position, or she will no longer be a part of H50 but will remain as Governor assistant, or she will be back at Homeland security or some other police or officer position that has nothign to do with H50 team but she remain on the show or anotehr possibility is that the Governor tells her that she will pay for her job for sure, but he is just babbling and at the end he never does anything beause the team is there to support her and Steve talk him out of that idea but we all assume she really will pay with her job but nothing happens. PD. ONE LAST NOTE HERE. ALEX NEEDS TO EAT.ASAP ANYTHINHG!! HE IS REALLY SO THIN. IN yesterdays episode my God! He really looks so thin! Could you see his veins sticking out of his arms?? He will become a ghost in front of us. LOL!! Ohh my todaqys episode was good but next episode will be much better and like CBS promo says (not me) a tem member will pay for his/her job. And according tot he promo, it looks like is going ot be…. Everyone is entilted to an opinion, but some may say that H50 is not a romantic or soap opera program to show what you just described. I mean I just said what I have read from other fans opinions and sites. What I do want to see on the show is more SEAL tactics from him applied to his work as the team leader. I dotn mind some softer side on him from time to time but not all the time, like u said him working with kids at some scene. 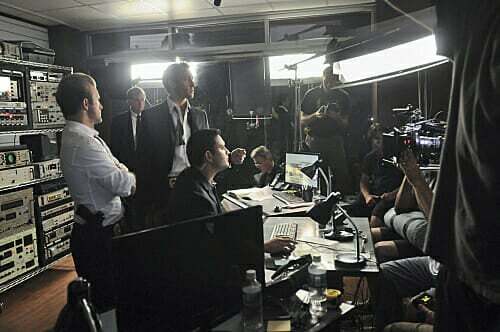 Not that I want to be all too dramatic but I do want to see in H50 are scenes where they put really in danger any of the characters, like soem of them get badly wounded due to some case they are investigating but they are able to recover later, that way is like we are all hanging from our seats as to what will happen if tgat person is going to die or not. I mean im not saying i want all the characters dead of course not, I will never say that, but some scenes where some of them are badly wounded and they have to be taken to a hospital to get a surgery or something, but at the end they come out of the danger and they recover perfectly. Like some CSI episodes have shown with their main characters, at one point or the other the main characters have end up in the hospital bed or at least they end up in surgeries for something happened to them during the episode.An intense episode like that we also need from H50. I have followed Alex for several years, my interest in Alex has never been about his appearance, I was drawn to him because of his ability as an actor. In short, I think Alex is one of the most expressive actors I have ever seen. I think one of his gifts is that he becomes the character he plays, he can make it real. You can forget you are watching an actor.. you feel what he feels, all the emotion is clearly written in his eyes and the expressiveness of his face.He can bring you to tears and turn around and make you laugh. So, while I faithfully watch H50, I think this role does not even come close to showing what he can do.As others have said it is too one dimensonal for his abilities. True to form, he plays Steve as the role is intended. I have heard it said he is an action star. I disagree with that description totally. He is not “just” an action star. His talent far surpasses that designation. Just look at his previous work and you will see what I mean. I don’t want to see him pidgeon holed as an action star. He once said that he wants to tell stories and I hope that he will get the opportunity. Eliane: You are spot on; perfectly said. I was home ill yesterday and I watched several of the first episodes of Moonlight. Even though I still was hurting, it perked me up considerably. I love the conflict you see in his eyes, the way he looks at Beth and when contemplating his lonely future. His funny comments and looks are priceless. Perhaps someday, he’ll have other projects that will allow him to shine. Its taken me a whole season to really get into this show Ithink Alex looks fantastic if a little too wirey. But he defo does not get the chance to “emote” and thats one of the sexiest things about him, remember his little jokes and wry smiles on , dare I say it, Moonlight. I miss that. I have to way something about Alex exposure in Hollywood. It seems Alex is very hesitant when it comes to atted red carpets and attend Hollyweird events becaue he does not like that kidn of things but I do believe that in the long run it wotn be good if Alex will be typecast only for starring in H50 and he only be known for that role. He does need to get out of that egg shell and be noticeable to the people and to Hollywood producers. so they can call him for other roles hopefully in movies. Thanks for the pictures. They all look so fricking gorgeous in that photo, especially Alex, he looks dreamy, stunning and so so delicious!! :love: If i saw ALex in real life dressed like that I rally really will eat him alive hehe!! Look forward to that episode I wonder who be the person whose governor Denning decide it will pay with his/her job for causing the international incident. I hope is Lori!! LOL!!!! Alex stated in GQ Australia last year that he always pukes before he walks the Red Carpet. Suzanne Faith is 100% correct in all that she says. Good post, Suzanne. I love honesty. how handsome and beautiful they all are! Well, he was in a rom/com (Back-Up Plan), and it didn’t go anywhere–CBS Films didn’t promote it. I never read that he is red carpet shy; in fact, I thought that was Scott. I don’t think that is slowing down his fame; I think it’s the lack of opportunities and projects. The reason you don’t see him at events is because he’s not filming in Los Angeles. Alex and rest of cast can’t go to award shows (even if not nominated) if they have to be out in the middle of the Pacific. I agree with you, Shirley. I also read that it is Scott who is red carpet shy. In all the videos I have seen, Alex has gone out of his way to say hello to his fans, to autograph photos and to pose with his fans for pictures. Also, when Season 2 began, they announced there would be 22 episodes. Last week I read that Peter had confirmed there would be 24 – 2 more than originally planned for. Alex can’t be there filming and attending awards ceremonies at the same. time. Perhaps the reason you don’t see anything of Alex in those publications is because, as Shirley said, CBS does next to nothing to promote H50. They promote the hell out of other shows like NCIS, which is already an established show with a large viewership. Why they are neglecting to do the same for H50 is beyond me. As far as Malia goes, Alex did not choose her, like an expensive suit, to boost his image. He is in love with her. He probably wouldn’t care if she wore a paper bag. I agree her fashion sense is different but what I think does not matter. And you know what….it doesn’t change the fact that Alex is a fine actor nor does it change my opinion of him. I am looking forward to this new episode. Thanks, Tiffany. I must be one of the few who does not like Catherine. I don’t feel she’s got the right personality for Steve. She could match athletically since she’s in the Navy but she doesn’t have the sexyness and playfulness that he needs. Hey Barb I do like Catherine better than Lori of course, she seem more of Steev type but I agree with u slightly, Steve and Cahterine pair perfect athletically becaue she is military member and he is a navy seal too, but there is somthing lacking on Catherine to becoem a real Steve partner. For example Kensi is m ore like Steve type than Catherine. Some people say that they hope Catherine will become a regular but I rather see her once in a while thatn everyday, because it will change the dynamics of the show because we need bromance and carguements betwene Steve and Danny and that is something that nothng can take away from, and besides Catherine is just Steve mate, she does nto have like a real storyline on the show, she just pops up when Steve need her so if she stops by once in a while is ok but that is all she needs to do. Barb I too am not a fan of Catherine and Steve. Simply, in every episode they have been in together except for this latest one, Steve does nothing but use her. And if we’re going to be fair she seems more goo goo eyed over Steve than he is for her. She is always gushing about how cute he is. My question then becomes when an actress (like Daniela Ruah) who has more chemistry than Catherine has with Steve comes along, is everyone going to complain, complain complain? Did you see where tvguide.com users voted Alex the sexiest man on TV – how very true as these pictures show – looking good in fatigues and a tuxedo – perfect!! SonjaMMK: Do you happen to have the exact URL for the tvguide article re sexiest man on TV? I went to their site and can’t find it. And I subscribe to TV Guide and haven’t seen anything. Thanks. OMG!!! Love all the pics and everyone looks great! Thanks for sharing and posting! Live all the pictures. Thank you! Especially the one with the full cast and the ladies look like they are wearing uggs under those gorgeous gowns. Love it. A girls gotta do what a girls gotta do! Like the reunion smooch too!!!! Great, great, great photos! I particularly like the first two, especially the kissing one. Really wish Alex would get a romantic role in a movie during hiatus. I love that Catherine is back, at least for a while. And everyone looks great, all gussied up. Grace’s dress is gorgeous. Alex looks so ‘Bondish” in the last photo, doesn’t he? Glad he didn’t get that role because I don’t like the Bond movies and waiting for a new movie would be too long to go for a new Alex fix. I’ve been missing this blog and definitely missing new episodes. I am so glad that sweeps is here. I saw the trailer for the episode where Grace gets kidnapped. Wonderful. She is such a cutie; can’t wait to see it. Can’t wait to see this one! Glad to see Catherine back for a bit.